Bulletin of Organic Chemistry publishes recent research advances in fundamental to applied organic chemistry. The journal cover all aspects related to organic chemistry including natural products, synthetic organic chemistry, theoretical organic chemistry, catalysis, catalytic reactions, new reactions, polymer chemistry, peptide chemistry, medicinal chemistry and allied fields of organic chemistry. The fundamental to applied research advances in organic chemistry are covered by the journal. The Journal publishes Research Articles, Short Communication and Review Articles. Journal of Applied Polymer Chemistry publishes recent research advances in polymer sciences, polymer chemistry and polymer technology. 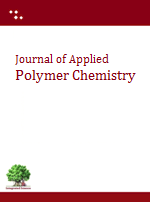 The journal cover all aspects related to polymer science including designing, synthesis, fabrication, application, moulding of polymers including textile, plastic, natural, synthetic and fiber polymers. The fundamental to applied research advances in polymer and biopolymer sciences are covered by the journal. The Journal publishes Research Articles, Short Communication, Review Articles and PolyInsights.